Based on Veggie Tales DVD #13, this storybook gives kids loads of wacky colouring and sticker fun. The story is based on Romans 12:10: "Love each other as brothers and sisters, and honour others more than you do yourself." 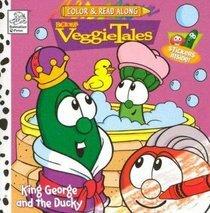 About "King George and the Ducky (Veggie Tales (Veggietales) Series)"